Second Sun Hydroponics Brings You The Best Press Fit Garden Pots Around! 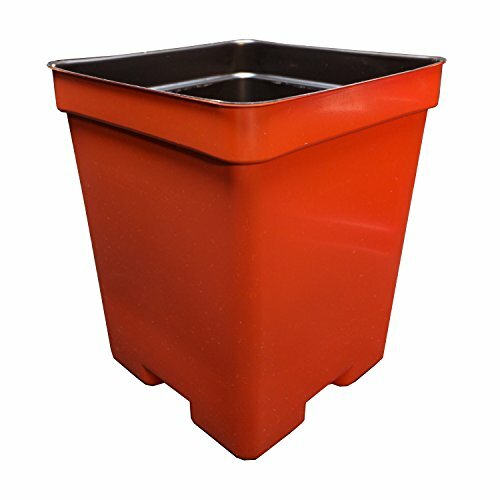 Measuring 4.125 Inches Square by 5 Inches Deep, these Industry Standard Press Fit Pots are made of reusable and recyclable plastic. They can be used to start seeds, raise cuttings, or whatever else you desire. Why are they called "Press Fit"? In the horticulture industry, these come in large boxes and are arranged so they can be pressed into a carry tray speeding greenhouse operations, hence the name press fit. You've probably seen these pots before at the garden center, but didn't know where to get them. Now you can enjoy these quality pots at home and in a number of different and exciting colors! Second Sun Hydroponics Brings You The Best Press Fit Garden Pots Around! Colorful Pots Have a Look You Will Love - Designed for Garden and Nursery Professionals, Now Available to You! If you have any questions about this product by Second Sun Hydroponics, contact us by completing and submitting the form below. If you are looking for a specif part number, please include it with your message.